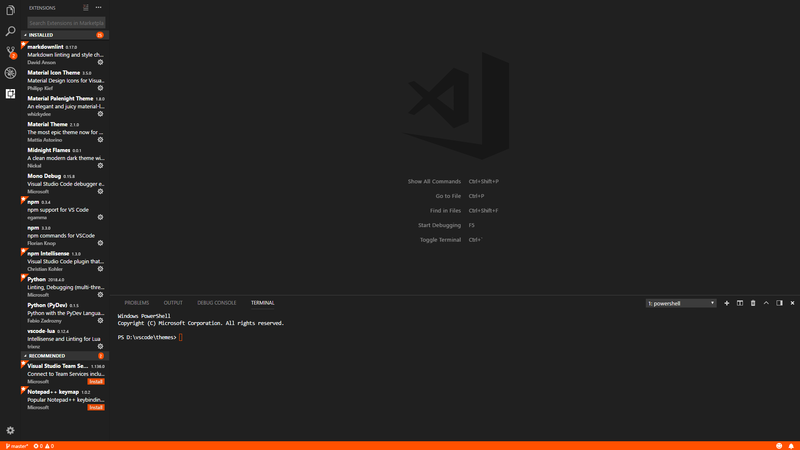 Visual Studio Code>Themes>Midnight FlamesNew to Visual Studio Code? Get it now. A clean modern dark theme with vibrant orange accents. A clean dark theme with vibrant orange accents. To get your ideas in, simply make a fork of this project and add your customizations. If i like what i see i'll add it into the next release and give credit to you in the description.